To be a pilot in any capacity be it private, for your own needs, or commercial for a lifetime career, the choice of helicopter training school is very important. We believe that every student needs a training program tailored to their needs. Students should feel comfortable in the aircraft and most importantly they need to feel comfortable with the people training them. We provide top quality, safe equipment. We have a number of fully qualified instructors, ready to train you. The thrill of taking the controls of a helicopter will stay with you forever. 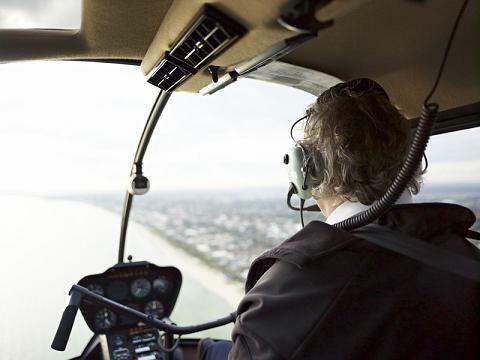 Take the 30 min adventure with your qualified instructor and experience the joy of flying over the suburbs of Melbourne in our Hughes 300 helicopter. Whether it’s a bucket list item, the start of your private licence, or your dream to become a professional helicopter pilot, this is where we all started. The PPL(H) course is a 50+ hour course for the recreational aviator who wishes to be proficient, or the private owner who is planning to purchase an aircraft. It comprises theory and flying syllabus items. conducted in the form of one 3.5 hours exam including all the subjects. The Commercial course is the entry into a flying a career, with a 105+ hour course, similar in content to the PPL course, but going into more detail within the subjects. The flying syllabus is examined with greater precision. To help prepare you for the real world we offer an “CPL Advantage+” program which extends the syllabus items to include real world experiences, improving on your knowledge and confidence for your CPL flight test. Hours required for a Private PPL License? Getting an Aviation Reference Number (ARN)? Allow about 4 weeks. Usually as soon as we start training we fill out the form. This will give you plenty of time. TIF: When and where do I go? Flights depart from Moorabbin Airport. Contact us to book your flight. Usually available 7 days a week.